learning how to highlight and contour is one of the most essential steps in getting professional looking making. it is the difference between Kim Kardashian and Rob Kardashian - let's face it, with a little contouring he could be a beautiful Kardashian. i mean that in the most loving way. with all of the highlighting and contouring infographics on the inter web, i decided it was time to put a little Blushing Basics spin on how to highlight and contour. let's begin with contouring. contouring and highlighting is a game of shadow and light, you are recreating your own perfect lighting. contouring is creating shadow and depth in areas you want to fade. using a matte brown is a key ingredient in contouring. too much shimmer in your bronzer and your face will look muddled. making sure your contour is matte will keep the color flat and give you the best 'shade' possible. 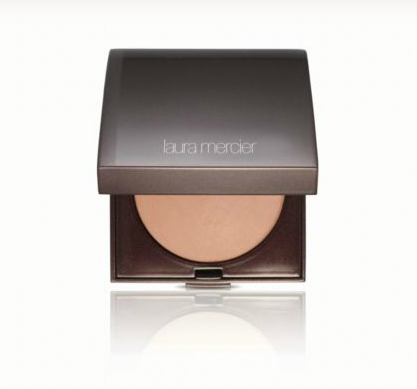 for this contouring tutorial i used a new favorite product, the Laura Mercier Matte Radiance Baked Powder. the bronze shades give the skin the perfect soft matte finish with a hint of warmth. the baked powder is packed with pigment and a little goes a long way. a heavily pigmented bronzer is your bff when contouring as it allows direct deposit of color and easy blend ability. with a fluffy face brush, apply a matte brown into the hollows of your cheeks. this is the area directly under your cheekbones. applying it too high on the cheekbones will make them look flat. applying it under your cheekbones will make your cheekbones appear higher and more prominent. with that same fluffy brush, apply color to the temple and along the hairline. if you have a short forehead, skip this step. otherwise, the color along the temple and hairline will help draw attention towards the center of your face (the eyes!) and help fade the forehead. again, that fluffy brush will be your best friend in eliminating any resemblance of a double chin. applying bronzer along your jawline and down your neck will make those areas look more recessed and thinner. last, using a small shadow brush to apply contour color down the sides of your nose. this will make the nose appear straighter and thinner. optional: apply contour color just below your bottom lip for more of a pout and in the crease of your eyelids to give depth to your eyes. highlighting is the task of adding light to make areas more prominent and create height. areas on your face that you want to add height to are your cheek bones, your brow bones and the bridge of your nose. 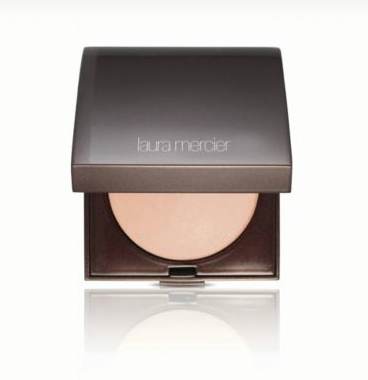 for highlighting i used Laura Mercier's Matte Radiance Baked Powder in Highlight. it has the perfect soft matte radiance to really make the skin glow without being too shimmery or glittery. using a fluffy brush, apply highlighter directly to your cheekbones to create height and a healthy glow of your skin. with an eyeshadow brush, apply highlighter to your brow bone to add height to your eyebrows, and make your eyes look brighter, wider and more open. with that same eyeshadow brush, apply a swipe of highlighter down the center of your nose. this will help to add height to the bridge of your nose making it appear straighter and thinner. optional: apply highlighter to the inside corner of your eyes to brighten and the cupids bow above your lips to make them appear fuller. now you are armed with all the information you need to join the ranks of a Kardashian, the women who have made this technique so widely popular and well known. LOL re Rob Kardashian. I've got your point, and even better, I've got your tips. Thanks much, darlin'! That Laura Mercier powder is gorgeous. And you are too funny! Thanks for the tutorial!